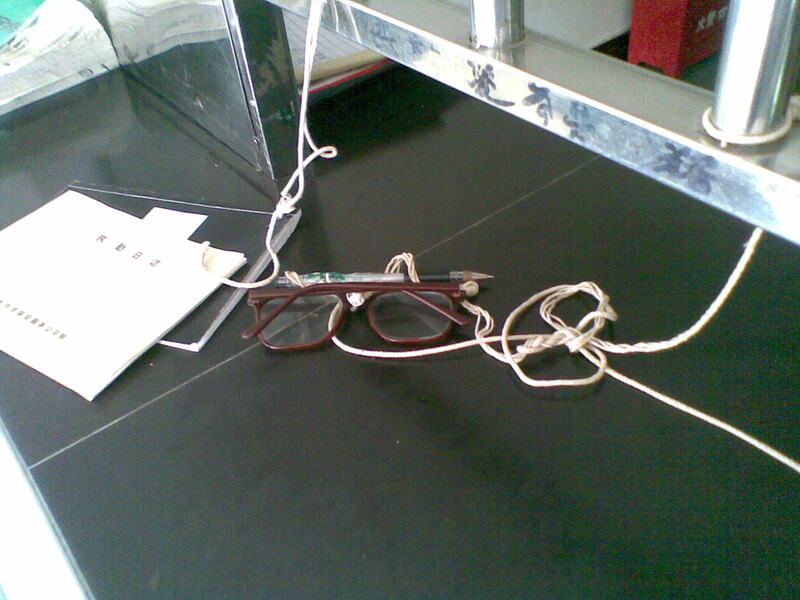 So many Chinese people need glasses, and do not use them. So the Post Office solved that problem. 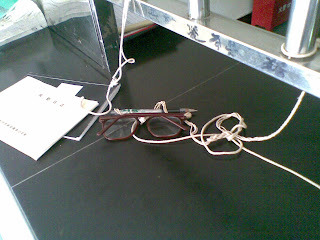 Free glasses for you to use, with a string attached so they dont get stolen!